I don’t know why it’s just occuring to me to post something about this, but hey. Better late than never, right? Nathan (and a part of the team from GA) is out in the Zoque jungle right now. They left yesterday morning with a load of the new stoves. [If you have no idea what I’m talking about, that’s ok. You can go to our website and look up the “Pure Air Project” on the “Projects” page.] Before they even arrived in the village they were headed to, the big flat-bed truck that they were borrowing from my father-in-law died! So Nathan spent his night hauling a few pieces at a time with the other vehicle they had taken out. (Thank you, Mom and Dad!!! This is like, the 3rd time our Yukon has come to the rescue. Our gratefulness for that vehicle only grows by the day.) Today was spent moving the stoves piece-mail as well, I believe. I haven’t heard from Nathan since lunchtime, but of course he was still hard at work. I’m not sure what’s going to happen with the dead truck and hauling all the guys back here. I am sure they would all really appreciate your prayers! Hopefully they are still able to get the stoves and filters taken care of while they’re out there. Last I heard, they are planning on coming home tomorrow (Friday) night. But that was before the truck breakdown. It’s 11:30 pm. And I’m really really tired! The 14 people on the team that aren’t in the jungle with Nathan are going out to the orphanage in Teopisca tomorrow. Pray for them as well, if you would. I don’t know what Saturday’s plans are (I just know what I’m doing for meals!) but then the team flies out EARLY Sunday morning. After that I will possibly have more blogging time. But for now, I’ve got to get some sleep! Thanks for reading, and thank you for praying. You’re awesome. This-morning, my precious 3rd born called to me from her bed (and what has now become her room… not sure what we’ll do with the 2 big girls…) at 6 am. The second my eyes opened, my mind jumped straight from “park” to “5th gear” and hasn’t stopped since. My body, however, is struggling to just stay in 1st gear! Right there, in the stillness of 6:20 am, I was able to bask in the stillness. To breathe in the quiet, knowing that I wouldn’t experience it again until late tonight. Now, as I feed the baby and get ready for an afternoon of grocery shopping and cooking and preparing for the rest of the crazy week, I am so grateful for those moments of being still. Of reminding myself that HE is God. That HE is bigger than any of my current issues. HE has given me this loaded plate because HE was confident that I could handle it. So this is me, choosing to believe Him! And grateful for the stillness of 6:20 am. *Mountains of laundry. I want to whine about how much dirty laundry my house (and those living in it) produce. I’d even like to whine about my tiny top-loader that doesn’t do big enough loads for my liking. Then I look around. From my house I can *literally* see a handful of women washing their laundry in the dirty stream that runs just outside our property. They scrub their clothes on a rock, then wring them out by hand, then toss them over near-by bushes and fences to dry. These same women are all barefoot, as are their children running around near them. They are probably washing the one change of clothes that they own. This is what you call a dose of reality. I’m complaining about having SO many clothes to wash. In a machine. When they’re clean, I throw them in a dryer! *Filthy tile floor. Look out a different direction from our living room. I promise you that many of the houses you can see from here have mud floors. Not tile, not even a dreaded linoleum. Just dirt. `Nuff said. *Loud children. I have two little girls, who are so enraptured with their current game, they can’t stop squealing and giggling. Not only do they like each other enough to play together for hours on end, but they are healthy enough to run and jump and laugh for hours on end! *Dirty refrigerator. Not only is a refrigerator a commodity in most indian homes, but a full refrigerator?? Unheard of! My fridge is a mess because of the drinkable yoghurts that have been knocked over by little hands. Half-emptied coke cans left by visitors have been toppled in an attempt to locate which coke is whose… a serious dilemma, to be sure! My fridge is cluttered with leftover containers, full of leftovers! Excess food! While you may not live in a 3rd World country, I am sure you have seen people who leave the dinner table still hungry, on a regular basis. *Smudged windows and mirrors. Glass is my constant annoyance. I am forever grabbing the Windex and paper towels in an attempt to keep the mirrors and windows clean! This-morning as I sprayed a window and reached for the towel, I was struck by a terrible thought. Some day, I won’t have tiny little hand prints all over the windows anymore. I am quite sure that some day, I will be in tears because I miss those tiny hand-prints, and not because I’ve washed that particular window 3 times already this week. *Love handles. I suppose this goes back to the same thing as the refrigerator. I *could* be starving to death somewhere, then I wouldn’t have to worry about love handles. *Slow internet. Really??? Am I seriously wanting to complain about this??? I happen to know of a missionary family who lives SO FAR OUT in the middle of nowhere that they only get the chance to go to town and check e-mail once a month. And I think I don’t get to talk to my friends and family enough??? *Being sick. What better way to be reminded of how great it feels to be healthy? Now I’m going to go back to putting away clean laundry. Then I’ll sit and read a few books with my rowdy girls. So much to be grateful for! So I’m here to share with you my works-every-time marriage booster. I think the first time I read through this book, I did about a chapter a week. The second, third, fourth… well you get the picture. Every time since the first time, I have done a chapter a day. 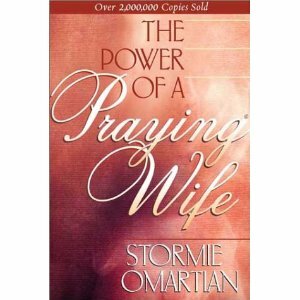 What you need to know is that this book isn’t about how to change your husband through a magic prayer! But you will be pleasantly surprised at the changes that happen in your marriage. I promise. You will be encouraged! I think I’ve mentioned once or twice already the Beth Moore study on Esther that I’ve been doing. It’s been really good, and I’m enjoying it so much! Last week in the group session video, she said something that really got me thinking. Beth was talking about the “what if’s” that we live in fear of. She elaborated for a minute on the fear of death. At one point she said something like “just imagine like Paul said… I’m already dead!” Of course she is referring to Galatians 2:20 where Paul says “I have been crucified with Christ.” She went on with her lesson, which was excellent. But my mind kept spinning around this one thought. I’ve loved Gal 2:20 for a long time. I’ve loved (since I was probably… 13 yrs old?) the Phillips, Craig and Dean song that quotes that verse word for word. But somehow it’s never before hit me the way it did last Thursday. Anyway, I started thinking about being dead. If I’m dead, then what am I doing here? Well the next part of the verse answers it… “it’s not me, but Christ living in me.” Just sitting here thinking about what my next sentence should be makes my head swim. Where do you go from there??? This changes everything!!! Being with my kids is now an opportunity for Jesus to love them, THROUGH me. A friend or family member who hurts my feelings doesn’t have to bring up hard feelings or anger… because *that* me is dead. Christ’s response is the one that counts now. Loving that unlovable person is maybe not so impossible after all. Because Christ loves them, and the “me” that can’t stand them is dead now! Convenient, right? How would this change our every-day lives if we really let it sink in? How much more patience would I have with my children? Would it just roll off my back when people criticize me for being a “Jesus nut”? Would I have an easier time seeing people the way Jesus does and treating them accordingly? I think so.